Dropshipping has become a popular e-commerce business model because it offers so many benefits for retail sales. With dropshipping, the business owner does not have to maintain a stock of goods; they only have to purchase the product from the supplier who handles the stock and the shipping. Dropshipping is usually adopted by business owners who want to start a business with minimal investment. And this is where the problem begins: just because the investment is minimal and the business owner is spared from handling stock, first-timers assume that dropshipping is easy and they jump into it without prior research. Unfortunately, they often wind up going out of business and losing their initial investment just as quickly. Dropshipping business models have more tricky parts than what meets the eye, including multiple business processes, customer service needs, choosing the right supplier, and marketing your store. 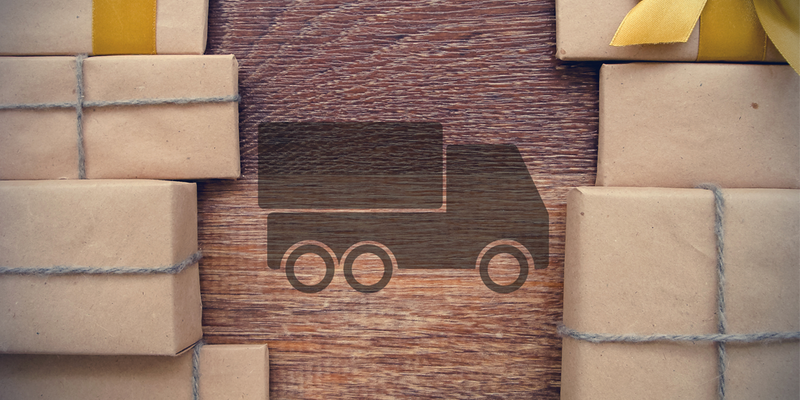 Though dropshipping is easier than maintaining a conventional inventory, you still need to know how the business model works and what risk factors are involved. The best way to clear up misconceptions and avoid making common blunders is to learn from the mistakes other business owners have made. Here is a list of common dropshipping mistakes and tips to steer your business in the right direction. How do businesses fail at dropshipping? Picking the wrong niche is the main reason for dropshipping businesses to fail. The market sector you choose impacts your business right from the beginning. To attract customers and make revenue, you need a niche that is currently trending and has the potential to be successful in the market. You need to do your research to pick the right one and then find your target audience so your dropshipping business can thrive. We’ve even seen instances where improper market research leads business owners to pick the right niche but target the wrong country. You can get off to a bad start if you pick a random niche that you assume will do well, especially if you fail to check where your products are in demand or if they’re in demand at all. If you haven’t done much research, you might compound the problem by not ordering product samples to check their quality and shipping time. And if you’ve picked a competitive niche, you’ll end up competing with giants like Amazon and eBay. If you continue this way, you’ll end up wasting your time, money, and effort. A Reddit user, for example, described his experience running a backpack dropshipping site without doing much research before he picked a niche. He picked the first niche he found interesting and continued with it without testing the samples or choosing from a list of suppliers. This led to him facing too many issues like late shipping and products of bad quality. These factors caused him to receive a lot of customer complaints and he ultimately decided to shut it down. After running his business for a month, he barely profited $200. His problems started with not researching his niche before investing in a dropshipping business and choosing a general niche like backpacks instead of focusing on a particular type like backpacks for college students or backpacks for office workers. Before you settle for a niche, you should know what you’re selling and who you’re selling it to. Business owners often find it overwhelming to choose a dropshipping platform. There are several different approaches you can take: creating your website on a hosted platform, creating a seller account on an e-commerce site like Amazon or eBay, or creating your own dropshipping website. If you choose one of these randomly without weighing your options, you’re likely to face hurdles along the way like reduced customer turnout and eventually poor revenue. It’s normal for business owners to try multiple options by switching between them. In an article, Connor Gillivan explains how he tried switching platforms and got into too many before mastering one platform first. When you start switching, it’s possible for you to get distracted by multiple platforms instead of focusing on one good platform. You could end up losing your customer base and good reviews by switching without analysing the platforms properly. Once you know what to sell and how to sell, the next step is finding reliable suppliers. We cannot stress enough how important it is to find good suppliers and maintain good ties with them. Most e-commerce platforms have a list of verified suppliers to choose from, so business owners can just pick one and go with them. If you pick the first decent merchant you find, but you find yourself paying a monthly fee to continue business with them three months later, then your supplier could actually be a retailer posing as a wholesaler. If you continue using them as a supplier, you will end up paying a higher price for your products than if you find an actual wholesaler. Always meet your supplier in person before you finalize a deal with them. Check on their experience, their shipping times, and anything else you’re unsure about before you seal the deal. Some business owners assume that since dropshipping needs minimal investment and capital, they don’t have to have a business budget or save some funds for rainy days. However, don’t forget that it takes money to make money. Failing to budget for your operations and processes can cause your whole business to crash. If your customers return products and ask for refunds, you may need to get funds out of your reserves, so make sure that you have sufficient savings and can access them. Let’s assume you have a curated selection of products but you don’t have funds to spend on marketing. So you mainly rely on word-of-mouth and Instagram for marketing. You simply post images and videos of your products on Instagram periodically. You don’t really have the time to include relevant hashtags, set time aside to reply to the comments on the posts or interact with your customers, measure your website stats, or try paid promotion. Now, there’s a potential customer out there who is ready to spend any amount to get one particular product from your collection but they’ve never heard of your store since you barely spend on marketing. What’s the use of having amazing products when they’re hidden from your potential customers? Once you’ve found a good product to sell, marketing is the way to bring in customers to buy it. Cutting corners will definitely hamper any business’ growth. Here’s an example of a dropshipper from Reddit who made $100k a month. Initially, they didn’t set an advertising budget; they just used the Facebook and Google ads credit from Shopify. They didn’t customize the ads to generate maximum traffic, and played around with the ads credits randomly. Eventually, they got no sales from these ads - they were a total waste. Thankfully, things got better when they started setting a budget for marketing and they spent on retargeting ads and influencers.This time they planned well and did focused marketing instead of randomly promoting their products. Like in every other business model, customer support plays a crucial role in dropshipping. First-time sellers tend to assume that once a sale is made, the customers are no longer in the loop. But while you know that it’s your suppliers who handle the products at that point, your customers don’t know that. So if they have a problem with the quality of the product or the shipping time, they’ll approach you. Not giving sufficient resources for your customer support will sabotage your online reputation and can eventually lead to the downfall of your business. If you don’t respond to customers’ questions and complaints, whether they’re sent through private channels or public platforms, they won’t want to purchase your products again. What can I learn from these examples? Once you decide to begin a dropshipping business, read as much as you can about dropshipping in general and about niches that do well. If you’re a beginner, it’s advisable to avoid food, electronics, heavy goods (they’re accompanied by high shipping costs), and items that damage easily like glass and ceramic. To have more products to offer, try a general niche instead of a specific one. Also, go for a niche where the products attract minimal shipping charges and are less likely to be returned. So come up with a list rules to select a niche, keeping in mind how much capital you have to spend, and make a list of niches you could do well in. Next, find out how much demand your products have in the market. You can use tools like Google Trends to gauge interest in various countries using simple keyword search with the names of your products. Looking for articles and listicles available online can help you find the niches that are currently trending worldwide. If you’re a beginner, one good strategy is to choose a niche that is currently popular on social media, especially if it involves hobbyists. This way you can sell multiple products, and your customers will keep coming back to you for more. Before choosing a platform, make a list of the influential factors - target audience and building a customer base, availability of funds, technical expertise, making profits and so on. Based on your list, you can answer questions like what products you’re selling, how you choose to sell these products, who you’re targeting as your audience, and what business strategies you have in hand to run your business. All of these factors will help you choose the appropriate platform. If you have the funds to invest and good technical expertise, you can choose to create your own dropshipping website. By selling products on your own website, you can exercise control over the selling process, customize your website, and make your store flexible enough to suit your needs.However, if you want a less expensive, less technically-demanding way to start selling, you can create a store or seller account on an e-commerce platform instead. Be sure to check your platform’s pricing, user-friendliness, flexibility, and customer support, because those can vary between platforms. If you’re choosing from an e-commerce platform’s list of verified suppliers, pick the most reliable ones with the most experience. Some platforms don’t inform the suppliers that their sellers are dropshippers, so it’s your duty to make sure your supplier knows that you’re planning to dropship. That way they, and you, can plan the shipping times and prices accordingly. The best way to find a supplier is to talk to your manufacturer and see if they have connections with any legitimate wholesalers. Then you can try doing a background check on those suppliers or you could try looking them up on the internet to find out more about them. You can also attend trade fairs to meet and connect with suppliers. Once you find good ones, call them up or meet them in person before taking things further. Here’s a tip: Choose suppliers who will minimize the amount of work required on your end. When you find such a supplier, pay them on time and maintain a good relationship with them. Once you’ve zeroed in on a supplier, sign a contract with them to make things official. It’s also good to have a back-up supplier in case something goes wrong. If your primary supplier has run out of a particular item, you can still rely on your back-up supplier to save you from an out-of-stock situation. Also, having access to your suppliers’ stock levels will help you decide which one to proceed with when you receive an order from your customer. And having access to your suppliers’ shipment tracking data would help you with customer satisfaction. To create a good online reputation and improve your branding, you should know the basics of SEO (Search Engine Optimization). Read a few articles online about SEO to learn how you can find and use relevant keywords in your ads and other content to improve your site traffic. Incorporating good SEO practices can bring in organic traffic for your website and thereby your products. If you’re prepared to spend a few dollars, you can also try adding paid marketing to your usual marketing techniques. Paid advertisements can be good for your business and you would know where your business stands in the market. For first-timers, Facebook paid advertisements are a good place to start. These ads generate a considerable amount of traffic, and you can choose the platforms in which they appear and how they look. Also, you can run more or fewer ads based on your marketing budget, and customize your ads based on your target audience and your goals. This is more of a trial-and-error method, so get ready to analyze some data sets and pick the strategies that work the best. If you’re selling goods on your own website, make sure you add positive customer reviews, ratings, and case studies to your website. If you’re good at writing, then write blogs on your products and get testimonials from customers who were satisfied with their purchases. If you sell products that can be bundled together, you can also try cross-selling. Remember the “Frequently bought together” and “Customers who bought X also bought Y” pop-ups on Amazon? You can try a similar approach to increase sales. As dropshipper and ecommerce blogger Victor Levitin writes, customer satisfaction can be used for competitive advantage. Victor’s company dived deep into customer support and wowed every single customer to increase their chances at customer retention. Providing this type of excellent service establishes a bond between your brand and your customers and can even justify charging more than your competitors. It’s simple: if you don’t offer good customer support, some other business will. If you’re competing against giants like Amazon and eBay, good customer service throughout the sales process can help you stand out. Make sure that your order process and checkout page are simple and user-friendly, and give your customers accurate shipping times instead of overpromising and then failing to deliver. Update your email templates so that your order confirmations and advertisements are personalized and friendly. If a customer has a problem with their order, you should be there to resolve it quickly and to their satisfaction. Also, if the customer prefers phone over email or live chat, be ready to schedule a call to resolve the issue. Check your public and private communication platforms for questions and complaints, and answer them promptly; never leave unaddressed negative feedback on your Facebook or Instagram page for other customers to see. Good customer service takes time, but in the end, it earns you big bucks and keeps your customers coming back for more. When done properly with dedicated attention and effort, dropshipping can do wonders for you. Once you’ve picked the right niche and launched your business, spend time consistently and make patience and perseverance your best friends. Make use of the solutions we’ve provided to help you choose suppliers, platforms, and marketing tactics. There will be times where you will have to don multiple hats — entrepreneur, negotiator, marketer, or customer service rep — and it can feel overwhelming. But if you have a realistic business plan and work steadily through your tasks, you can escape the pitfalls and keep your dropshipping business thriving.